A parliamentary report of 1776 listed parish workhouses operating at Chayley (accommodation for 40 inmates), Ditchling (20), Ringmer (24), and Wivelsfield (16). 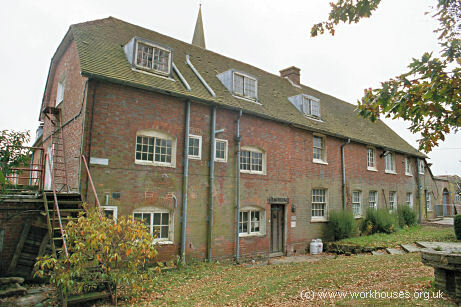 Chailey's parish workhouse was at North Common, Chailey. The building later became part of the Heritage Crafts School. 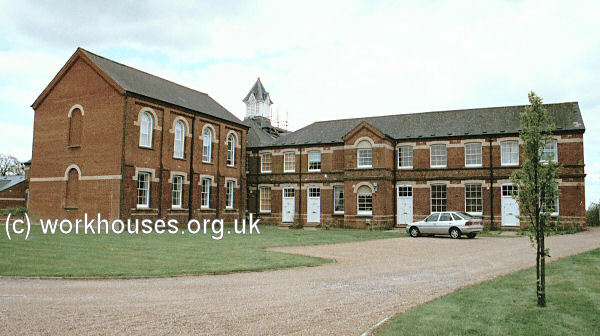 Chailey former parish workhouse, 2004. Ringmer's workhouse was at the centre of the village on a site now known as Corner Green. Wivelsfield's parish workhouse stood on Church Lane. A surviving part now houses offices of a local school. 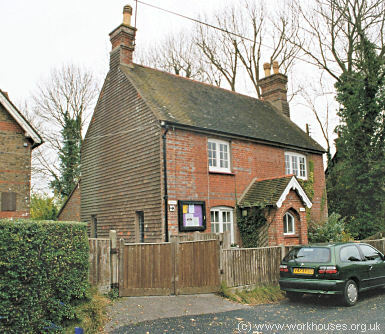 Wivelsfield former parish workhouse, 2004. 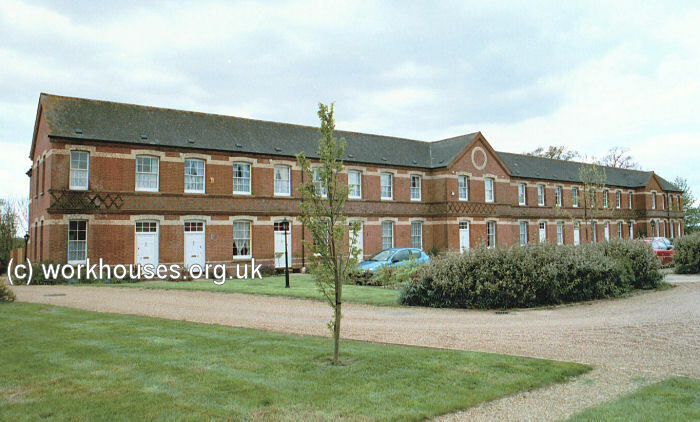 Newick had parish workhouse in an L-shaped building now known as Cuttings. 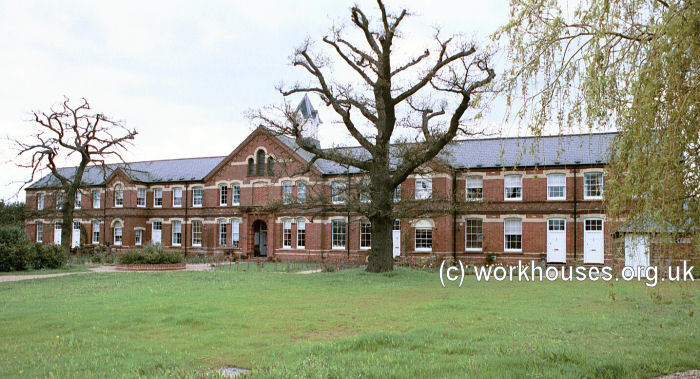 Newick former parish workhouse, 2004. Ditchling's workhouse was at the corner of South Street and Lewes Road. The building was demolished in around 1874 to allow the widening of South Street. County of Sussex: Barcomb [Barcombe], Chailey (2), East Chiltington, Ditchelling [Ditchling], Hamsey, Newick, Plumpton, Ringmer (2), Street [Streat], Westmeston, Wivelsfield. The population falling within the Union at the 1831 census had been 6,977 with parishes ranging in size from Street (population 168) to Ringmer (1,271) and Chailey itself (1,030). The average annual poor-rate expenditure for the period 1831-34 had been £9,576 or £1.7s.5d. per head of the population. 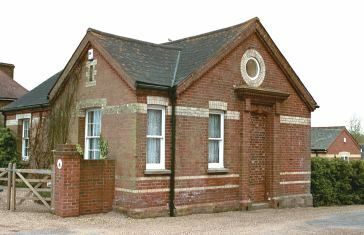 The new Chailey Union retained the three parish workhouses at Chailey (North Common), Ditchling and Ringmer. Able-bodied inmates were placed at Chailey, the aged at Ditchling, and children at Ringmer. In 1873, all the old premises were replaced by a single new workhouse on Honeypot Lane at East Chiltington, about five miles to the north-west of Lewes. Designed by James Peerless, the workhouse accommodated 250 inmates and included a substantial infirmary. The construction work cost £10,500 and the land £600. The site is shown on the 1910 map below. The north-eastern entrance to the site was flanked by a single-storey blocks probably containing a porter's lodeg, board-room, and perhaps receiving wards. Chailey lodge from the north-west, 2001. The main block was long two-storey building facing to the east. Chailey main block from the east, 2001. The central wing the rear of the main building probably housed a dining hall and chapel. Chailey main block from the south-west, 2001. Chailey infirmary block from the south-east, 2001. In 1898, the Chailey, West Firle and Lewes unions merged, with the new body continuing under the name of Lewes Union. The former Lewes and Chailey workhouses were closed and their inmates transferred to East Chiltington. 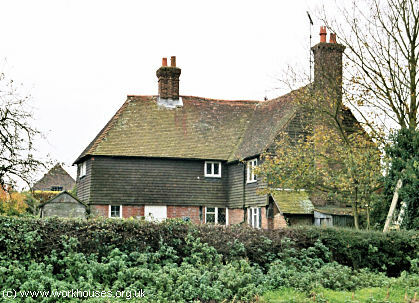 In 1930, the workhouse at East Chiltington became Lewes Institution, then after 1948 was renamed Pouchlands Hospital. The buildings were redeveloped for residential use in around 1991. East Sussex Record Office, The Keep, Woollards Way, Brighton, BN1 9BP. Holdings comprise: Guardians' minutes (1835-98); Accounts (1879-98).